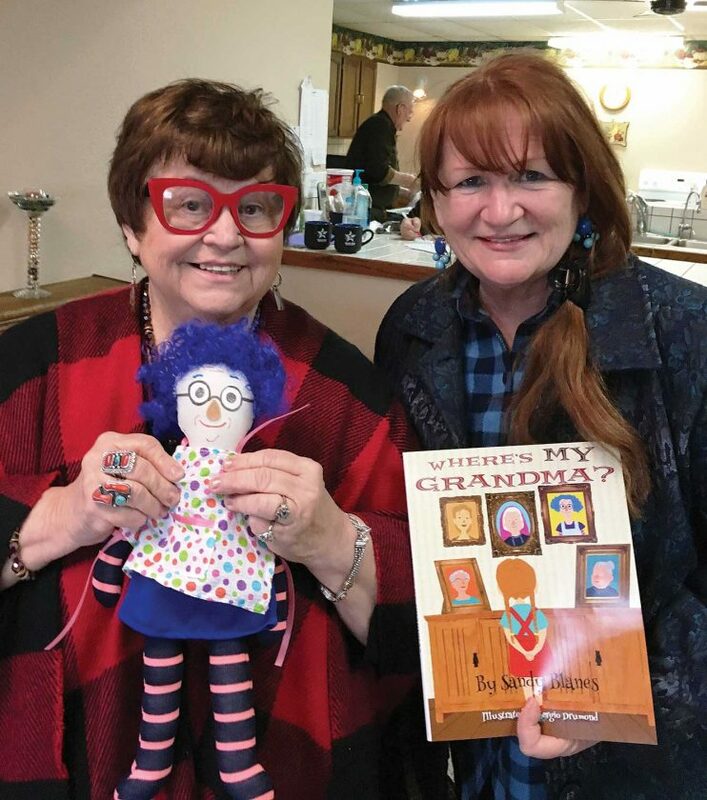 Submitted Photo Iris Swedlund, left, was the first person to get a copy of Sandy Blanes’ book, “Where’s MY Grandma?” and one of the dolls, according to Blanes, at right. 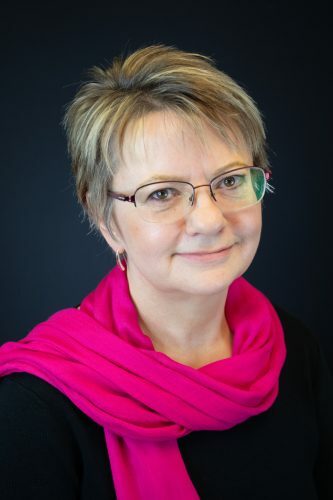 “She is such a great supporter of authors, writers and books,” said Blanes. How would you describe your specialty handcraft? Specialty doll design, handcrafted with a purpose. What or who inspired you to become involved in it? One of my books, “Where’s MY Grandma?” led me to handcraft some dolls to use as props when reading to small children, in schools, or in the nursing homes. This book speaks to the subject of foster grandparenting through the story of a young girl who did not have grandparents and decided to make up her very own grandmother (a crazy one at that!). She finally ends up with a “real live” grandma of her own, due to her persistence and perseverance. The first couple dolls I made were prototypes of the “Crazy Grandma” using the illustrations from the wonderful artist, Sergio Drumond. Then I decided to make the main characters, also. I started with whatever materials I had at home, then bought materials so I copy more exactly the characters in the book. The “Crazy Grandma” doll caught on and people wanted to buy them. The trouble is I have been making them by hand, from the painting of the faces, to the blue wigs that match the Crazy Grandma’s hair in the book. I asked my friends for a little help to do some cutting and stuffing and I now have 78 dolls that have gone to good homes or are waiting. In my readings and presentations (Trinity Homes is one) I bring dolls with me and they are hugged and loved on by many. How long have you been doing this type of work? I’ve been sewing since I was in high school. I made all my own clothes and made some dolls for my little sister. I made clothes and things for my own children, also. Since I haven’t had time to do other than mending in a long time, I found this project so much fun. Do you do it for your own pleasure or offer it for sale? Mostly for pleasure, but now the dolls are numbered and are now for sale when someone buys two books. The idea was for the customer to buy two books, one for grandma and one for the grandchild, and then they could decide who keeps the doll. 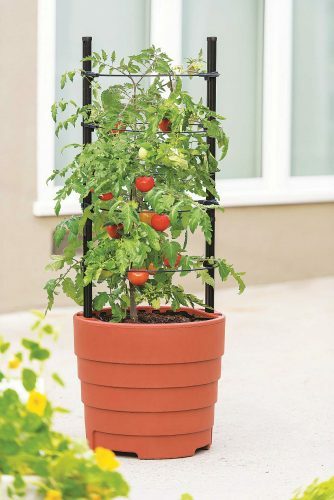 Where can we see your handcraft? My dolls and books are in my gift shop in Butte. Prairie Pleasures Gift Shop is on Main Street in Butte and I am a Pride of Dakota member. We have local artists and vendors such as specialty cards, scroll wood art and gifts and collectibles. I was recently selected by lottery to show my dolls and books at the State Pride of Dakota event in Bismarck at the Capitol. I am also looking forward to the North Dakota State Fair with a display table on the Pride of Dakota Day. My Facebook Site: “Where’s MY Grandma?” shows my dolls in different settings. Is your handcraft available for sale and if so, where? My dolls are available through my facebook site with a request through messenger and on the shelf at the Prairie Pleasures Gift Shop in Butte. I hope to have them in local bookstores and Pride of Dakota retailers soon. Have you taught others your handcraft and if so, would you be willing to teach it to others? I have taught others to sew but not to design dolls. I love to teach and inspire others, especially children, to learn to love reading and writing. I come from a long line of Norwegians (the Evenruds) from Norway and Balfour, N.D., but was born and grew up in many other places around the U.S. After living in Brazil for many years, where most of my eight children were born and grew up, I ended up back in the U.S., living in the Boston area. A widow for some time I met and married a retired New Englander, Manny, who came out to North Dakota with me to visit my aging father, Ed Evenrud. We ended up in Butte, because of my cousin and her husband, Jerry and Marilyn Haugen. I was teacher for 40 years in and out of the U.S. and worked for many years as an advocate for families of children with special needs. Now I look forward to writing more books.